When he started as a comedy writer for the ​Late Show with David Letterman​, Steve Young had few interests outside of his day job. 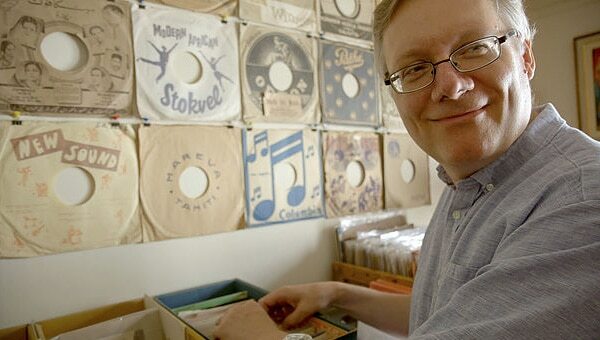 But while gathering material for a segment on the show, Steve stumbled onto a treasure trove of vintage record albums that would change his life forever. Bizarre cast recordings—marked “internal use only”—revealed full-throated Broadway-style musical shows about some of the most recognizable corporations in America: General Electric, McDonald’s, Ford, DuPont, Xerox. Steve didn’t know much about musical theater, but these recordings delighted him in a way that nothing ever had. Bathtubs Over Broadway follows Steve Young on his quest to uncover all he can about this hidden world, forming unlikely and meaningful friendships with its former inhabitants along the way.